Hotel Fotola in Lamayuru is a comfort hotel with 12 Double Bedrooms and 4 Swiss Cottage Tents, a restaurant to cater up to 36 guests. 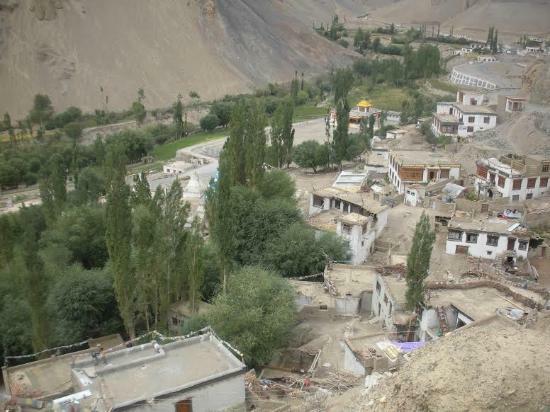 Hotel is situated in the middle of Lamayuru at a distance of 128 kms from Leh and 108 kms from Kargil on Leh Srinagar highway, just ten minutes downhill walk from the famous Lamayuru monastery. 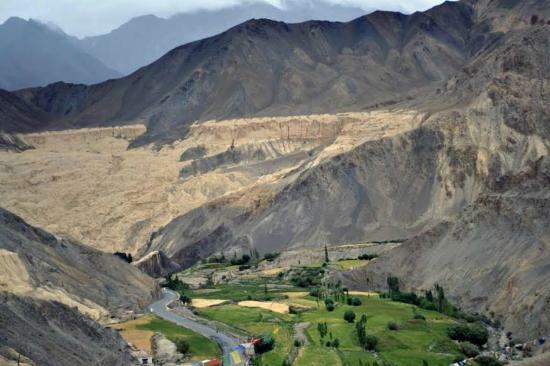 What sets this hotel apart is the fact that It’s a Ladakhi Buddhist family run hotel and the owner Mr. Sonam Spalzang and his wife are themselves involved in day to day operations. An excellent view of Himalayan Mountains, the hotel embodies best of local architecture and decor. 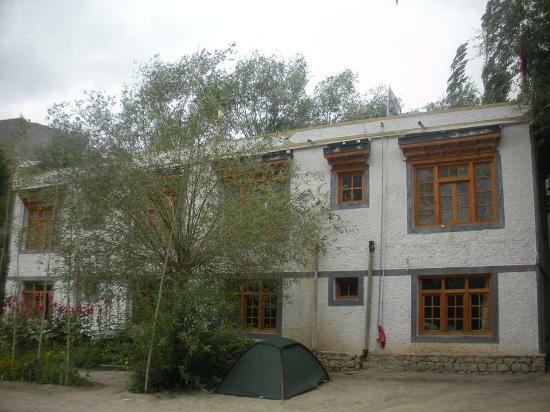 With all basic facilities and a hospitality blend of traditional Ladakhi and modern. A clean environment with agricultural fields and lawns of the breathtaking countryside, walkable distances to Monastery and every nook and corner of Lamayuru. Where the owners of the hotel are your hosts, always willing to ensure best of services, comfortable hotel rooms, attached bathrooms with toiletries, clean linen, running hot and cold water supply, a restaurant serving Indian, Chinese, Tibetan and Ladakhi cuisine (organic vegetables grown in local fields are served) power back by generators, ample parking, Hotel Fotola prides in being the best hotel in Lamayuru. Free Parking, Children Activities, Restaurant, Room Service.